lettero control stations and measuring tables are equipped with handles for measurements using several types of measurers, including X-Rite devices. 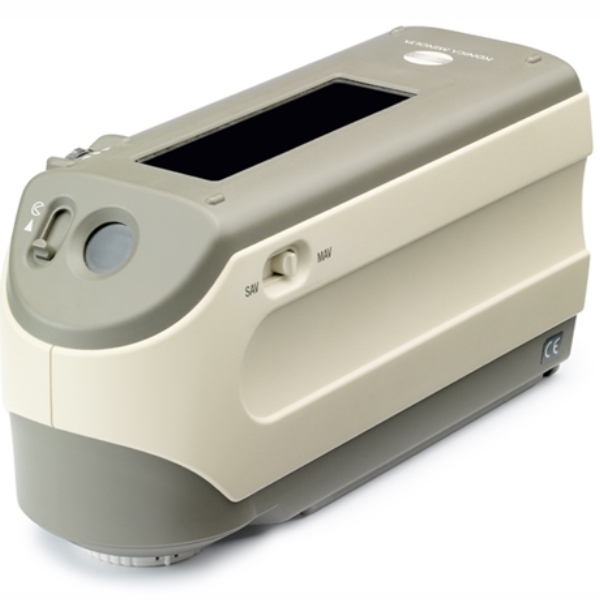 The CM-2600d and CM-2500d are portable sphere type spectrophotometers with horizontal alignment, which is most convenient to measure the colour of flat or large samples. Both models using the patented numerical gloss control (NGC) which delivers measurement data’s including (SCI) and excluding (SCE) surface conditions in one measurement sequence. Single handed operation is achieved with the “Navigation wheel” and the sample observation port allows perfect sample positioning. 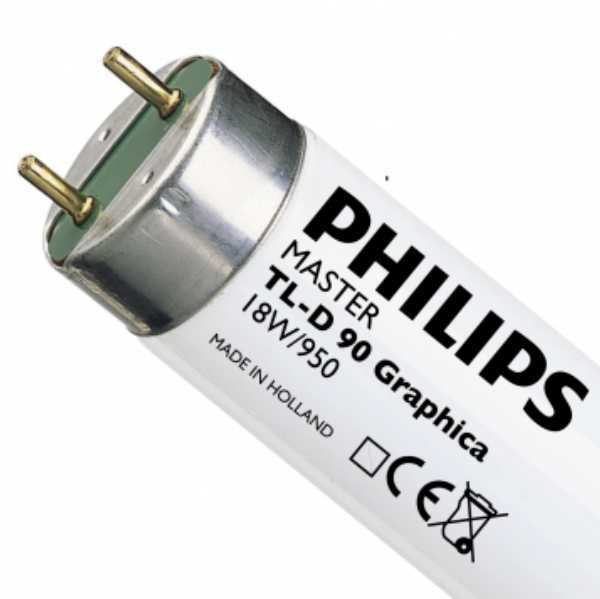 The large information display shows measurement data either as numerically or graphically. 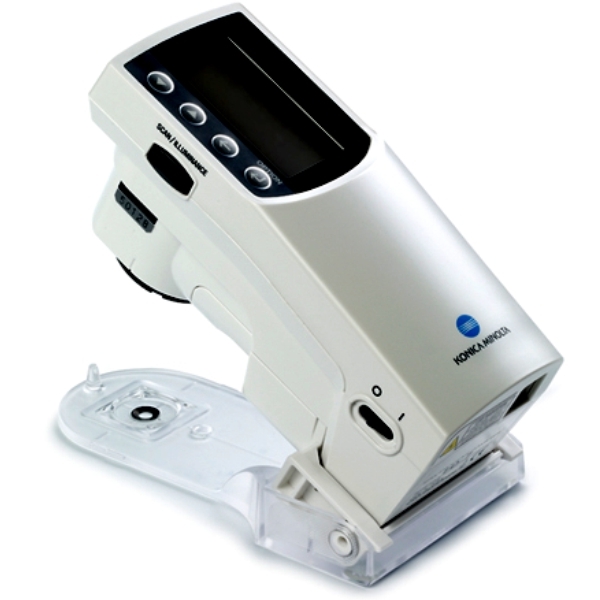 The CM-2600d offers additional 3mm measuring aperture to perfectly adapt to small sample sizes. 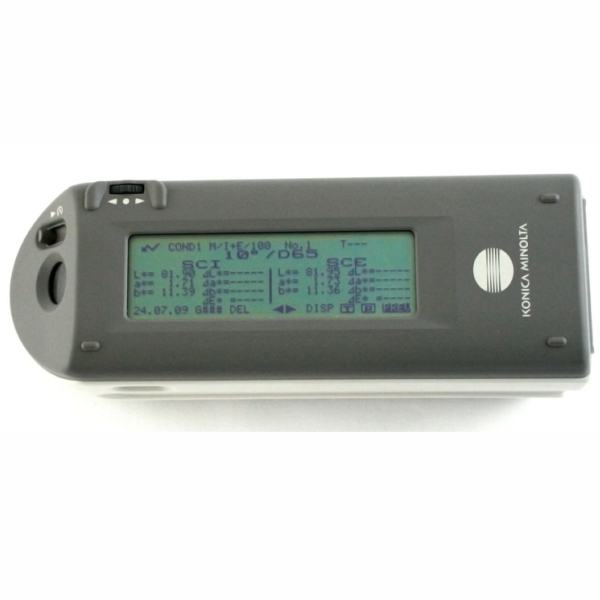 To analyze samples treated with optical brighteners (OBA’s), the CM-2600d uses the patented numerical UV control (NUVC) system for accurate and fast UV content adjustments – a unique feature in a portable instrument. Illumination / Viewing system d:8° (diffuse illumination, 8-degree viewing ), equipped with simultaneous measurement of SCI (di:8° specular component included) / SCE (de:8° specular component excluded) Conforms to CIE No.15,ISO 7724/1,ASTM E1164,DIN 5033 Teil7 and JIS Z8722 Condition C standard. Inter instrument agreement withinΔE*ab 0.2 (MAV/SCI) Average for 12BCRA Series II color tiles compared to values measured with master body. Data memory 1700 sets of data (as SCI/SCE 1 data) * 700 sets of data in the “defined in COND.” mode. Optional Accessories Hard case, Dust cover set, Dust cover, SpectraMagic™NX (software), Zero calibration box.